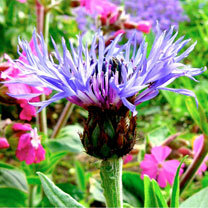 “A more unusual shaped cornflower than the regular variety, with ‘explosion’ like petals in pale blue/purple. 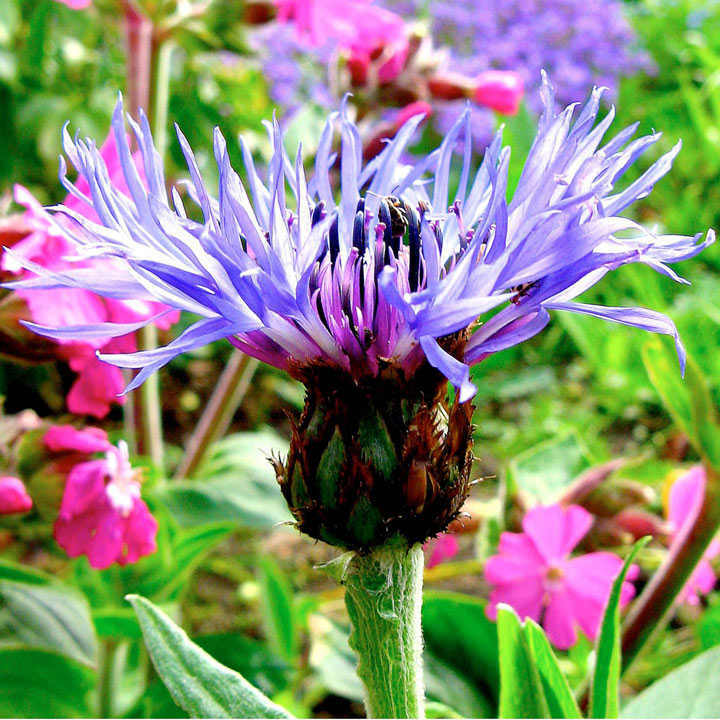 Forming a perennial clump, this beautiful flower will bloom for years.” Sow January-March or September-November in a heated propagator or on a sunny windowsill. Flowers June-July. Height 50-60cm (20-24”). Sow January-March or September-November. Sow on the surface of free-draining, damp compost, covering lightly with compost. Place in a heated propagator, or on a sunny windowsill. Do not exclude light, as this helps germination. Pot up into small containers when big enough to handle. Plant out after last frost if spring sow, overwinter autumn sown plants in a coldframe or cold greenhouse ready to plant in spring, 30cm (12") apart.